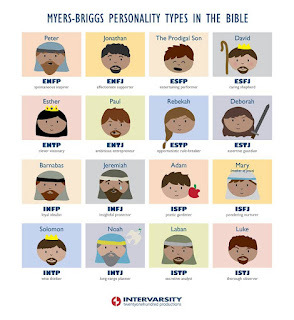 Intervarsity put out this picture tying different Bible characters to the Myers-Briggs personality test (take a free version here and find out what you are). If you have taken the test you know it can be quite perceptive in helping you understand your personality. 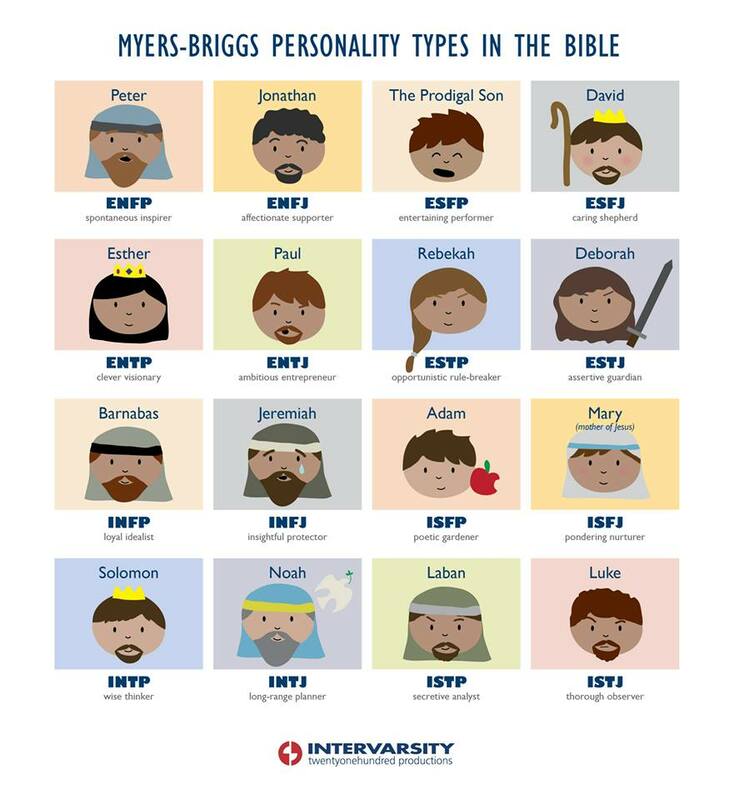 I am an ENFP which according to the picture above means I am like Peter. I have hoped that for a long time. (go here for celebrity ENFP, which says I am also like Hugo Chavez and Katie Curic!). Peter is both really awesome and really dumb. He says some of the greatest things in the Bible, like his sermon in Acts 2 and "You are the Messiah, the Son of the living God." (Matthew 6:16). He also says some of the worst things like the time he tries to conivince Yeshua he won't have to die and Yeshua replies "Get behind me, Satan! You are a stumbling block to me; you do not have in mind the concerns of God, but merely human concerns." (Matthew 16:23). I have found in my life that I am a man of extremes. I do some awesome things and some dumb things. I am Peter with a touch of Paul in Romans 7:15, "I do not understand what I do. For what I want to do I do not do, but what I hate I do." Historically, that's me in a nutshell! can't see the video: click here!